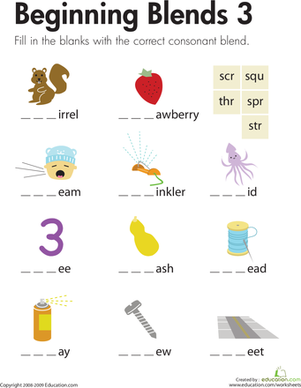 Distinguishing initial consonant sounds from the rest of a word can help prepare your child to read and write. 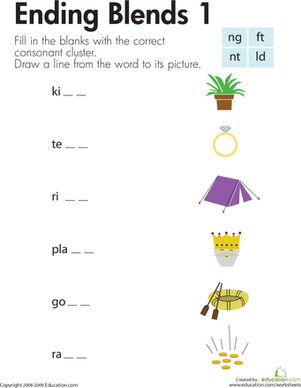 Use these worksheets to practise identifying onsets and rimes in words with these worksheets. These words have gotten all jumbled up! Can your little speller match the beginning of each word to its ending blend? The words on this year two reading worksheet are not complete. Kids choose the correct ending blends from the boxes and write them to complete the words. 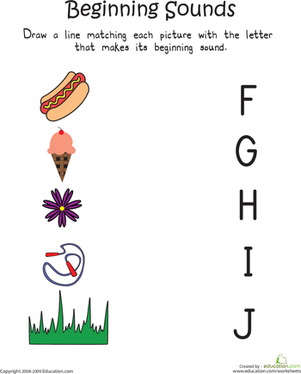 Introduce your 1st grader to word families in a fun way with this word family story. She'll be amazed how many words are in the "-at" family. Make word families fun by putting them in a story! Try it out with the "ip" word family. 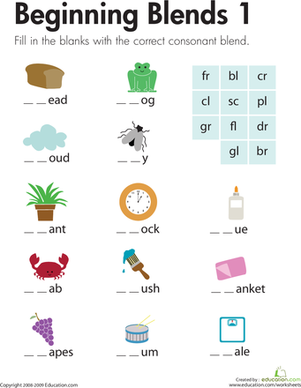 practising word families early in school will help your child later. Have fun with word families by using them in a story. 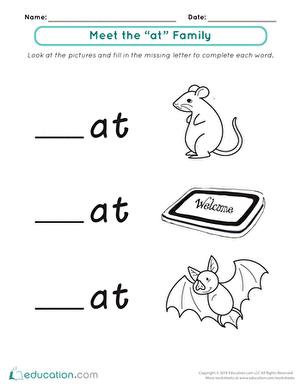 This worksheet features four words that end with "-an." How many words end with "-ug"? This sheet is a great way to teach word families and help your child form the building blocks of writing and reading. Are word families boring for your kid? Not anymore! 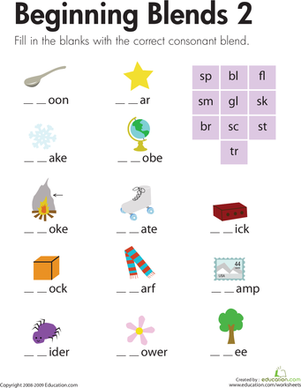 Check out this fun way to learn word families, the building blocks of language. Aren't alliterations awesome? 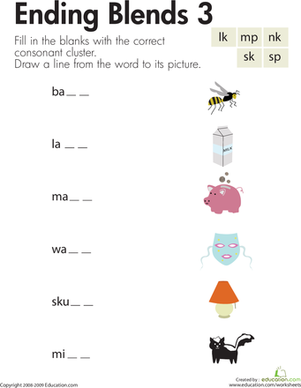 Have a little phonics fun by finishing these alliterations. 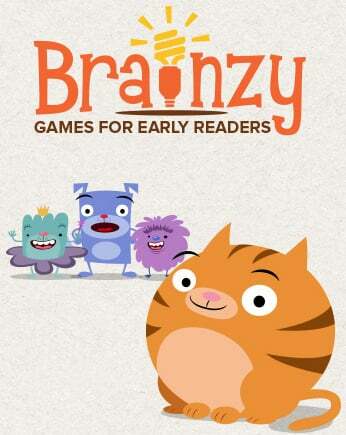 Help your early reader get ahead by practising the skills teachers say are most important with our brand new educational games program. Try Brainzy risk free! Learn more here. 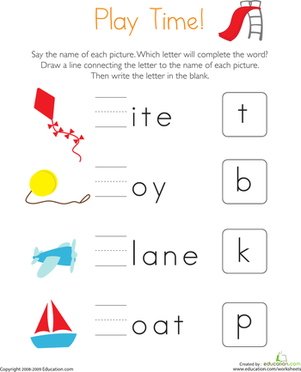 Looking for a year one worksheet to help your child learn the alphabet? This printable will give him practise with the letters F through J. The toys are missing the first letter in their names! 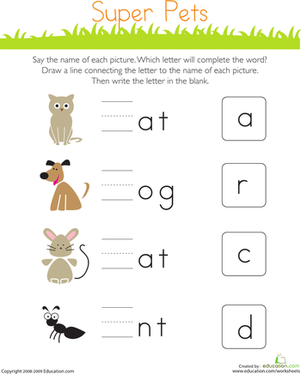 Kids completing this year one reading worksheet write the correct letter to complete each word. 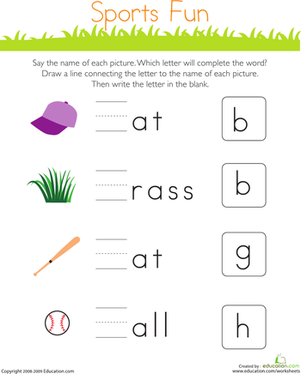 This sporty worksheet is a great way for your kindergartener to practise identifying beginning sounds and writing lowercase letters.